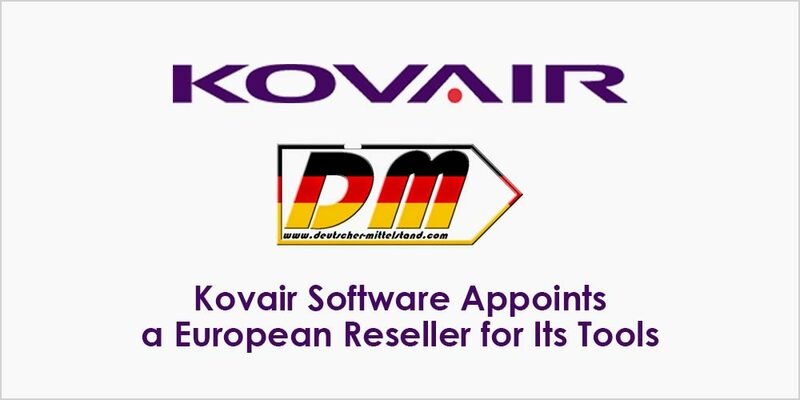 San Ramon, California April 18, 2019 – Kovair Software today announced the recent appointment of its Products Reseller for the European Market, Deutscher Mittelstand based in Stuttgart Germany. They also have a presence in Asia through their Hong Kong location. Deutscher Mittelstand through its CEO Thomas Arends and his team of specialists, bring extensive experience with tools in the software development domain and in particular in real life systems solutions in key verticals like Aerospace, Medical, Automotive and Industrial domains. These are all high growth markets along with High Technology domains and are totally aligned with Kovair’s market segments focus. “These are a group of very hands on and domain expertise individuals who can add tremendous value to the software and product development tools prospects in the European Markets with significant technical strength compared to any typical product reseller” said Bipin Shah, CEO and Chairman of Kovair Software Inc.
“We are very happy to join hands with Kovair and represent them in Europe based on our experience with some of the competitive tools in the market. Kovair brings several advantages to our customer prospects in Europe as we have done a thorough assessment of the Kovair capabilities in recent weeks before agreeing to put our name and reputation behind Kovair” said Thomas Arends, the CEO of Deutscher Mittlestand. “Deutscher Mittelstand Ltd” is a company – located in Hongkong and Germany – servicing customers in strategic and operational fields. Staffed by a team with evidenced successful management in the development of Systems, backed up by solid theoretical background (Professors and Dr.) and certified Auditors, in Aerospace, Medical, Automotive and Industrial, there is a core Team that leads their customers to success. Next Post:How Can DevOps Application Lifecycle Management Protect Digital Keys?